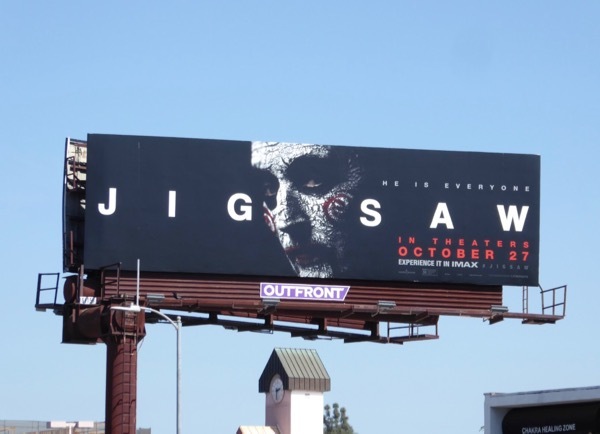 Just when you thought it was safe to go back to the cinema the Saw horror franchise gets resurrected in time for Halloween with Jigsaw. 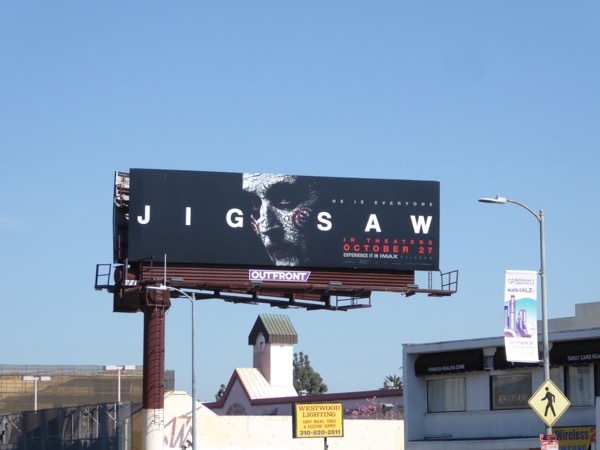 In this eighth installment new bodies are showing up dead with a unique gruesome signature, the evidence and police suggest it's the work of 'John Kramer', the killer known as 'Jigsaw', but he died ten years ago, right? 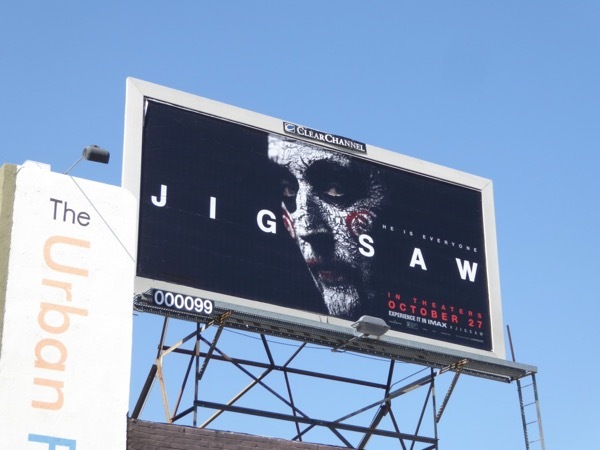 These creepy movie billboards were snapped above Santa Monica Boulevard, Beverly Boulevard and Venice Boulevard from October 10 to October 15, 2017. 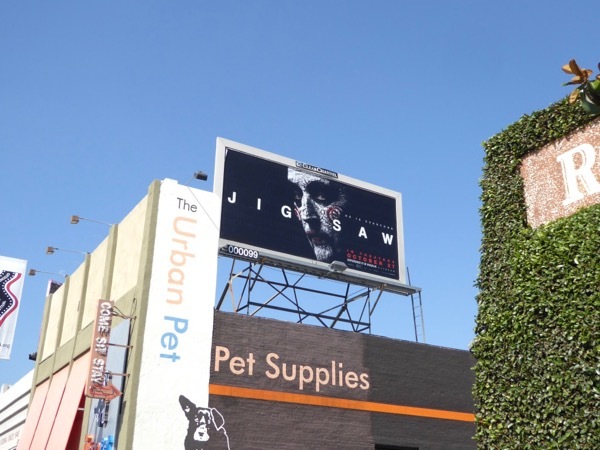 Fans of scary movies and TV shows can also check out all these other horror-themed billboards. Is there a copycat killer on the loose with a penchant for torture and gore? You'll just have to piece together the clues, and body parts, to find out this spooky season. 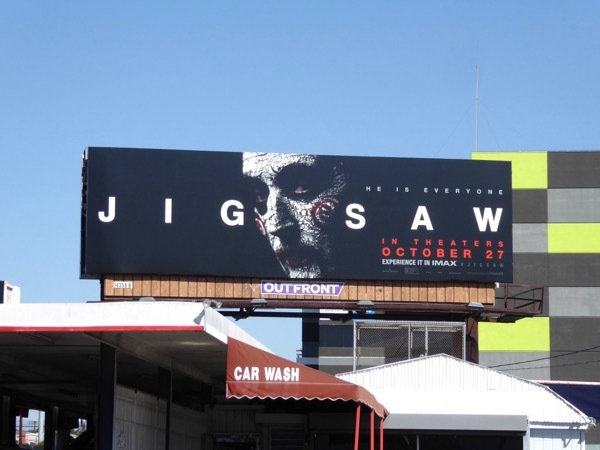 Let's see if Jigsaw can slay the competition at the box office this weekend.